Sounds delish. I think you need to make a sidebar button that goes to a page for all your recipes. It would get used! I agree... A side bar with your recipes is a great idea! I just saw a recipe for an Heirloom Tomato Pie in a Food Network mag the other day and thought it looked delicious, but I've never made a tomato pie. You've definitely convinced me to try it!! Looks delicious! Thanks for sharing!! I LOVE tomato pie but have never made one myself. Definitely making this next week for dinner! I am really going to do this!!! Thanks for sharing! OH yum...my mouth is watering!! Look delish and includes all my favorite ingredients. Maybe I should make it for din tonight?! this sounds and looks so good! i made val's tomato pie and about died and went to heaven, i will have to try yours too, yum!!! Looks fabulous!! I'm so hungry right now!!! This just got printed and put up on my fridge. If I had the pie crust, it would be dinner tonight! It looks so yummy and I don't even care if it's not good for you, it looks amazing! Have you tried adding a little bit of olive oil over everything before baking? That is yummy. And I put parmesan on top, too! Yummm! oh my!!! This looks amazing! I am for sure printing this one out!! Thanks for sharing! I've been meaning to make this for years and finally am getting around to it today! Can you freeze these? I'd love to save one for a cool fall night when I'm missing summer! If so, any tips on how to freeze and reheat? 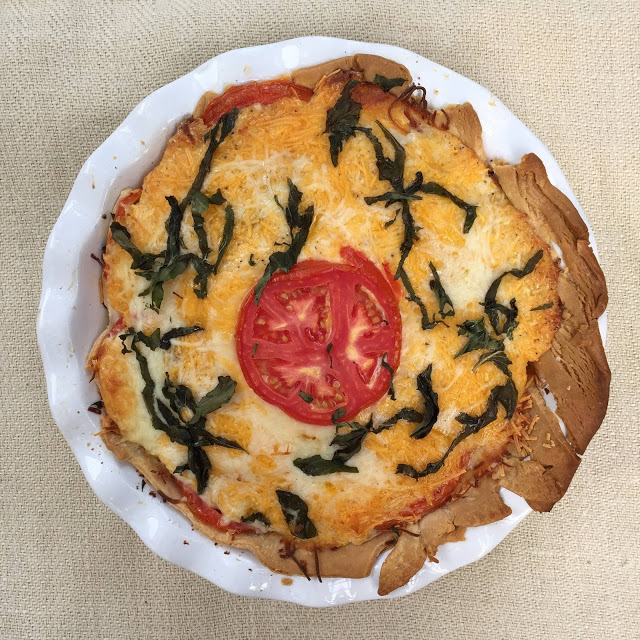 I love a tomato pie, but have never made it myself! I am saving this for fresh from the garden summer tomatoes!